As temperatures dip across the country, it’s clear winter is on the horizon. To prepare for colder weather, we’ve compiled a few tips to help you get your wardrobe prepped and ready for the new season. 1.) Utilize more of your attire. Instead of completely clearing out your closet of summer clothes, there could be some pieces you can work into your winter wear. Dresses and skirts can be worn by adding a pair of tights and a warm cardigan, and tank tops are great for layering underneath large sweaters. 2.) Declutter as you unpack. 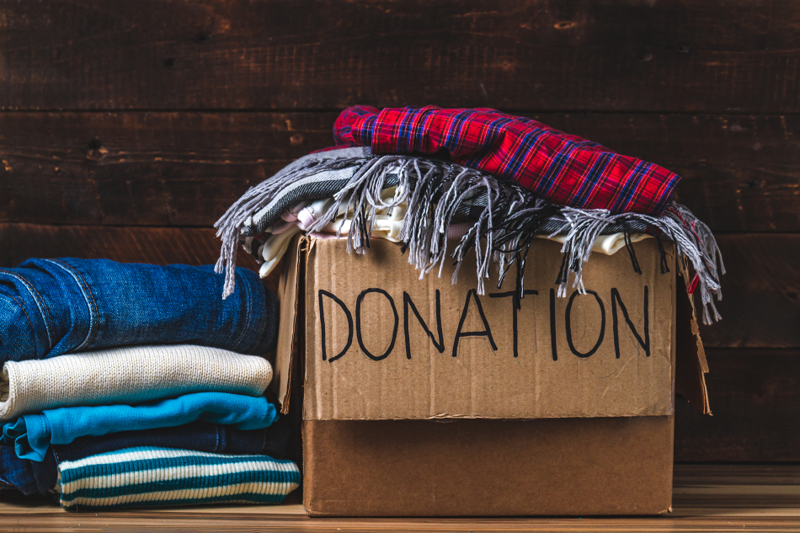 As you start pulling out your winter clothes, take a moment to evaluate your items. If you didn’t wear it last season, chances are you probably won’t wear it this year. If anything is worn out or doesn’t fit properly anymore, it may be time to retire that piece. 3.) Take care of your winter wear. Unlike most summer staples, winter fabrics like cashmere, suede and wool all have special cleaning requirements to keep them in the best shape all season long. 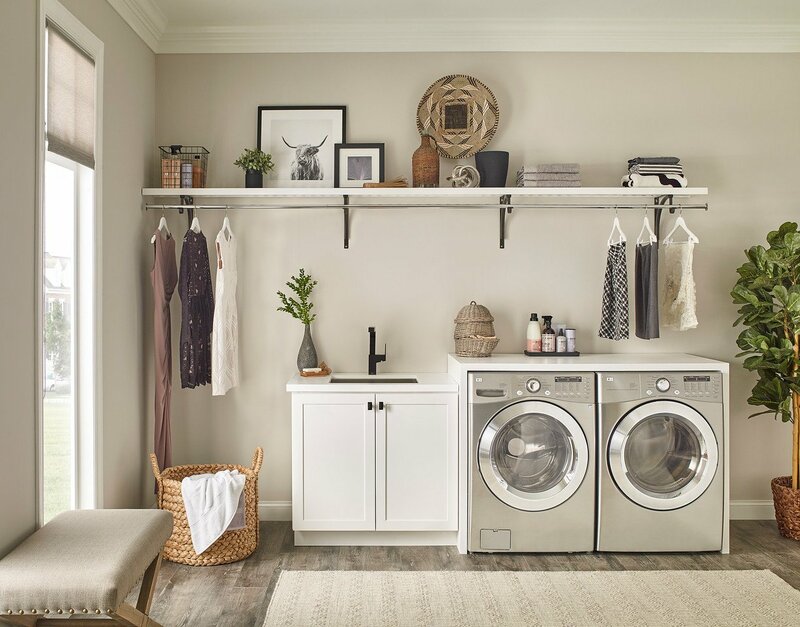 Learn how to properly care for and store all your winter laundry here. 4.) 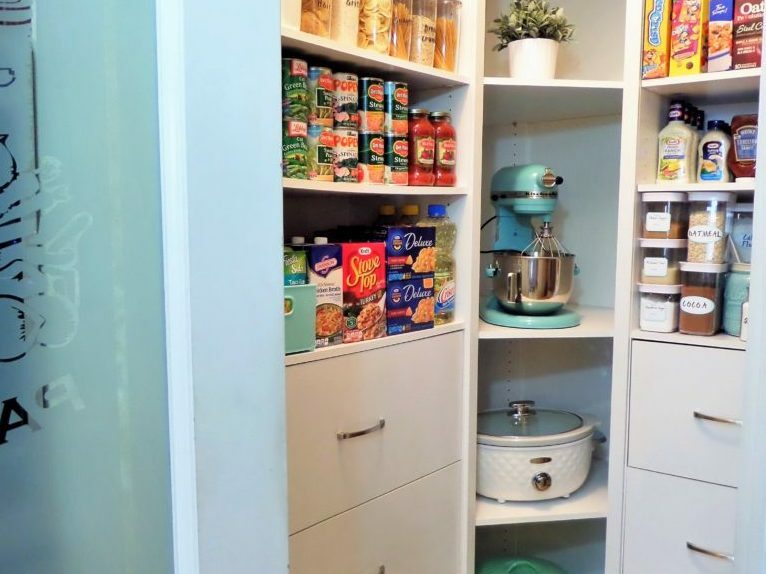 Create storage for everything. With cooler weather comes new accessories. Make sure your closet is equipped with adjustable shoe storage for all your different boots, and drawer organizers to organize small, miscellaneous items like mittens and hats. 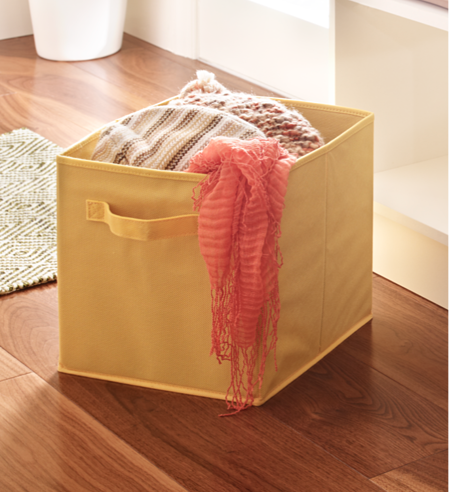 Fabric drawers and bins are great for catching all your scarves and gloves at the front door! 5.) Prepare for bulkier items. Large winter coats and jackets can take up precious hanging space in your closets. To create more room, organize your outerwear by weight. 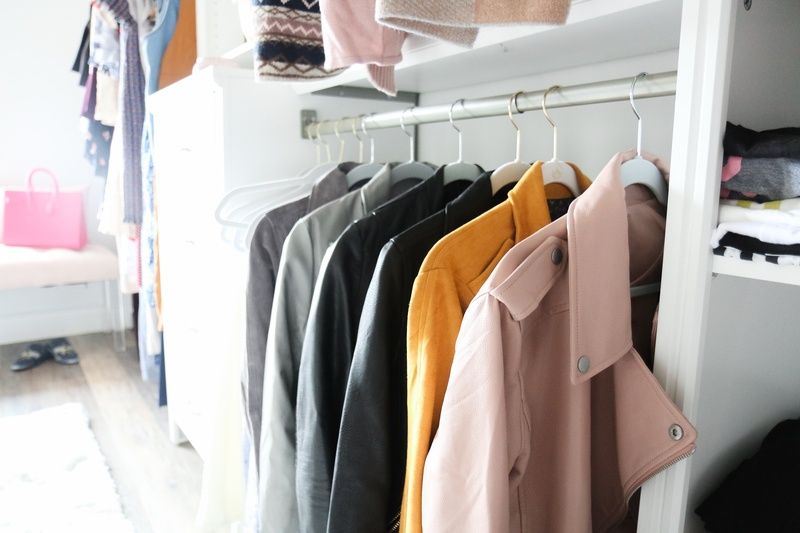 Store more heavy-duty jackets or snow suits in a hall closet, which will free up space in your bedroom closet for smaller items like vests, leather jackets and other more frequently worn outerwear. 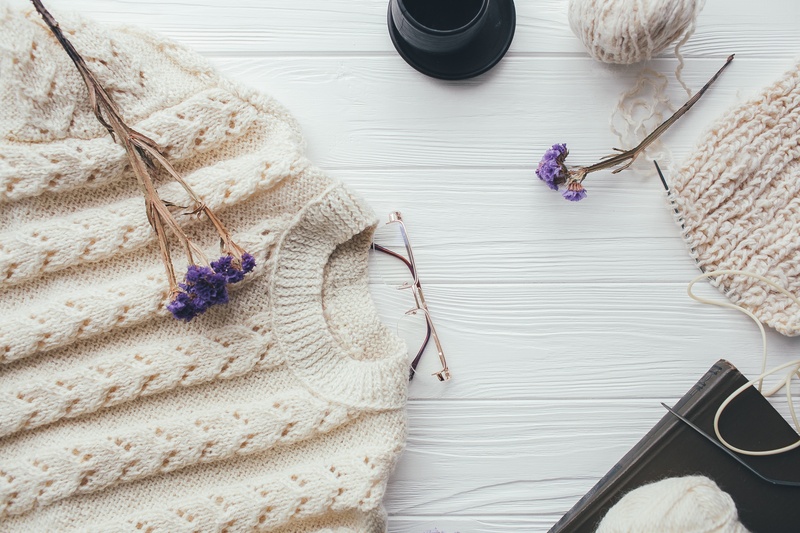 We hope these tips will help you stay warm, organized and stylish all winter long! 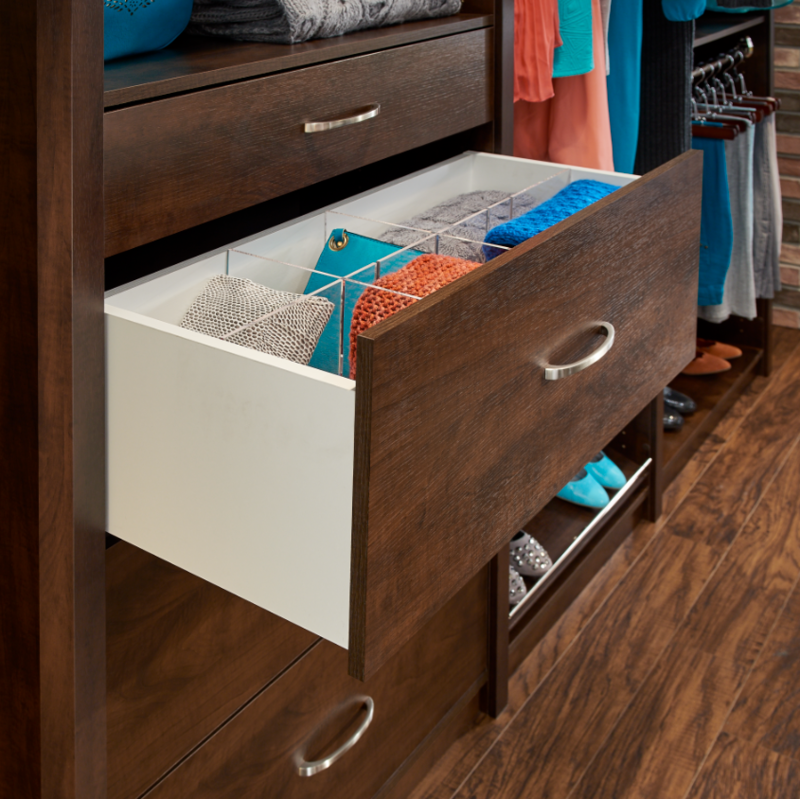 For more organization and lifestyle tips, visit ClosetMaid.com, and check out all of our other channels: Facebook, Twitter, Instagram, Pinterest, YouTube, Houzz and Flickr. 0 Comments on "5 Tips for Transitioning Your Wardrobe for Winter"